End Table Height: How Tall Should an End Table Be? As a place to place a gorgeous table lamp and some decor accessories, a spot for a drink and a book or to stash the remote control and phone charger, end tables are living room workhorses. 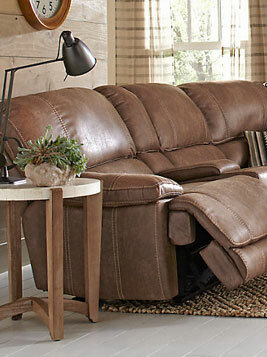 They nestle in beside a sofa or between chairs and offer style and functionality that makes your space complete. 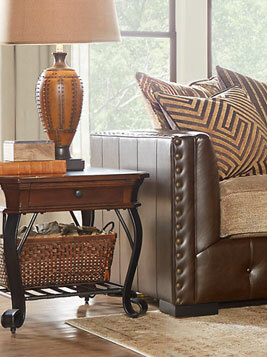 These tips will help you find an end table to perfectly fit your room and lifestyle. 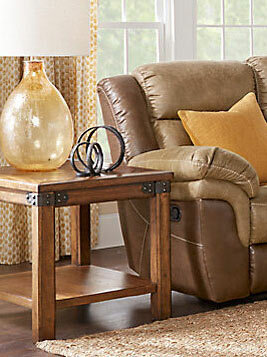 An end table that is clearly too short or tall will look out of place in your living room. To get the put-together feel you want, you'll have to balance both the height and the density of your piece with the other furniture in the room. For example, a stout, traditional end table with drawers set between overstuffed arm chairs provides a visual match and extra storage, while modern, sleek tables with open bases offer surface area but do not take up visual space. 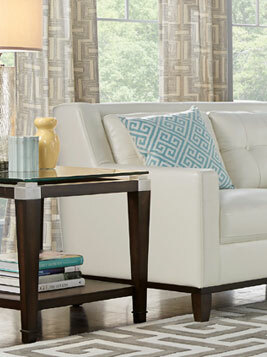 End table dimensions should fit the room's scale and complement the existing furniture. These pieces are functional, but that doesn't mean end tables lack style. While style attracts your eye to an end table, its ability to function with the other pieces in the room is what makes it a good fit. The general rule is that the surface of the end table should rest at or just below the arms of the furniture it's placed next to. In order to select the appropriate end table dimensions, measure from the floor to the top of the arm rest, keeping in mind that the standard height of an end table is anywhere from 22 to 30 inches tall. 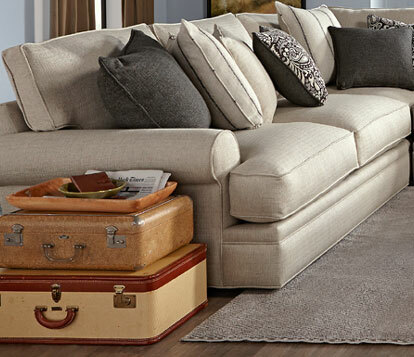 Maintaining ease of reach is crucial when choosing end tables. If you absolutely love an end table and its height keeps it within two inches of your sofa arms, it should work in your space. 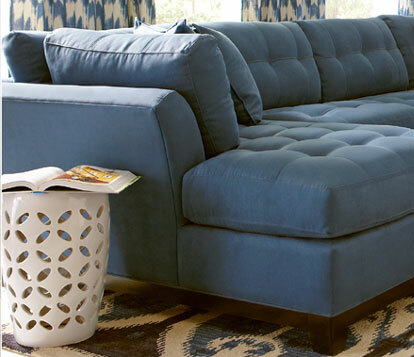 For rooms with an oversized couch or loveseat, it's probably best to get a bulkier end table to fit with the larger furniture already occupying the space. Alternately, pairing a minimalist end table with a room full of ornate, attention-grabbing furniture can be the perfect combination of styles. 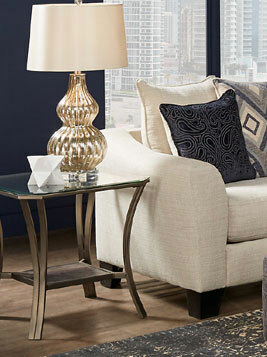 Since they are such versatile pieces, there's no reason to limit yourself to the standard end table height. Play around with different dimensions by getting a set of nesting tables and using the taller piece for displaying lamps and the shorter ones as functional caps on either end of a sofa. 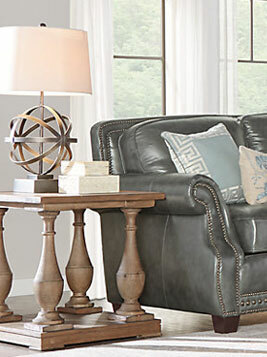 End table heights and styles are diverse, from tall and round to short and square, so don't stop looking until you've found the piece that looks and feels right in your home.